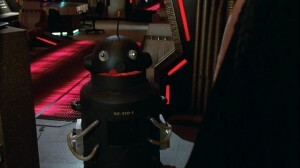 See A Totally Spaced Adventure! 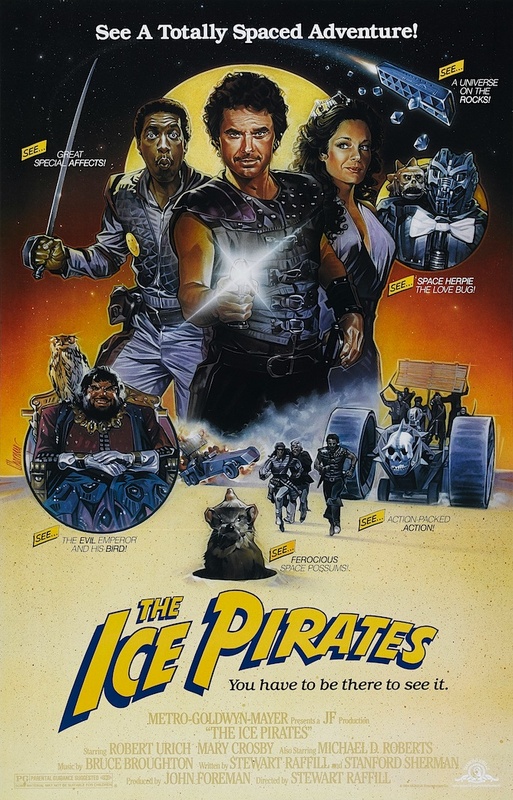 “Swashbuckling” and “space traveling” didn’t belong in the same sentence until The Ice Pirates came, otherwise known as Monty Python In Space. 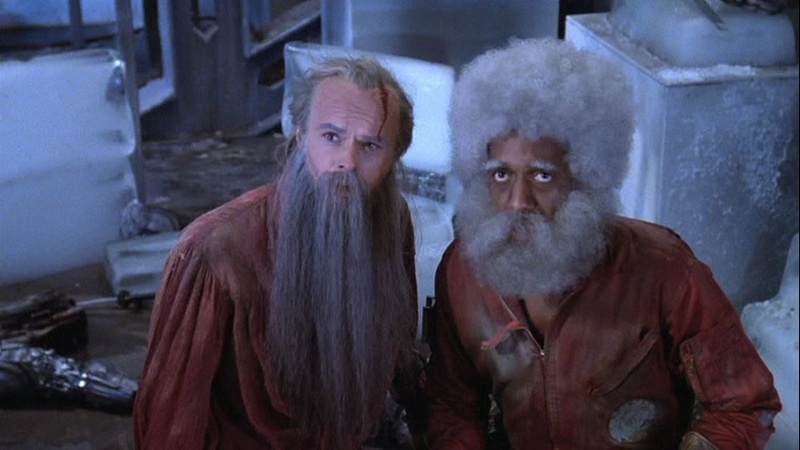 This charming and goofy comedy from 1984 successfully blended piratey adventuring with science fiction in what quickly became an instant cult classic that remains revered to this day. 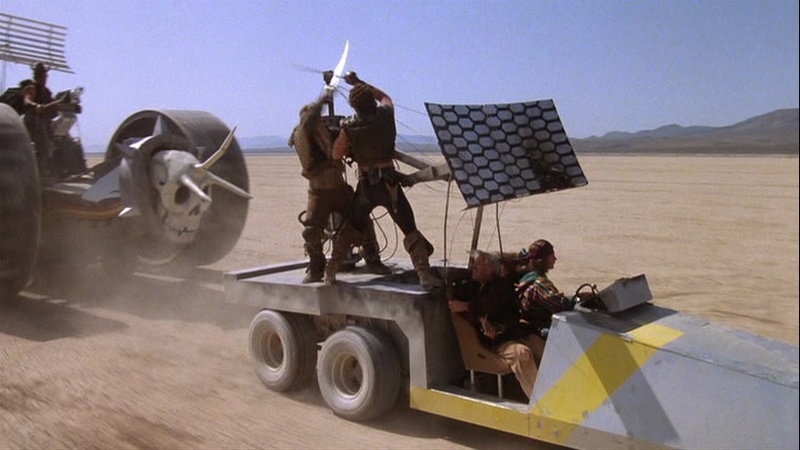 It even predates Mel Brook’s classic Spaceballs by a few years and, if you actually watch both movies in succession, it’s apparent that Brooks got a bit of inspiration from The Ice Pirates. But, whereas Spaceballs didn’t hide the fact that it was little else than a Star Wars parody, The Ice Pirates brought to the table a much juicier offering, including a nicely developed story. Pirates usually pillage for gold, right? Not in this movie since the most precious treasure here is… water! Yes, in the future the entire galaxy has gone dry and everyone is craving for fresh water, especially them pirates. It’s so valuable in fact that it’s utilized both as a commodity and currency. Unfortunately, most of it is held under tight control by the evil… Templars! Indeed: this movie features pirates, swords, lasers, starships, robots, space creatures, eunuchs, amazons and Templars. Unicorns, even. It’s impossible to resist, I’m sure! Our special group of pirates lead by your typical smarmy captain (Jason) will have to cross the galaxy, forced by a very determined princess in search of her missing father, while looking for a fabled lost world home to allegedly the largest supply of fresh water in the known universe, all while being pursued by the (evil) Templars. That’s the best I could do really to sum up the entire plot in just a few sentences – believe when I tell you this movie is busy. The cast happens to be pretty notable and eclectic too. 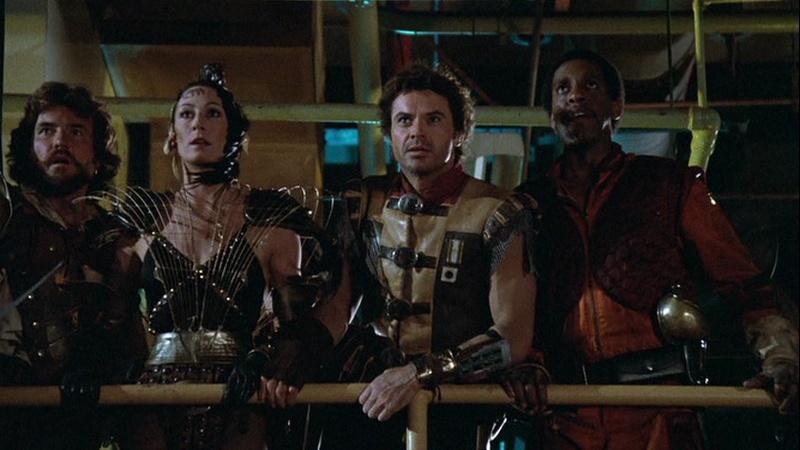 We have the great, and unfortunately late, Robert Urich as the daring leader of the pirates, Anjelica Huston, Ron Perlman, John Carradine and John Matuszak (Sloth!) among many others. Paired with the offbeat storyline and cheesy special effects and costumes, this is truly a cult tour-de-force. 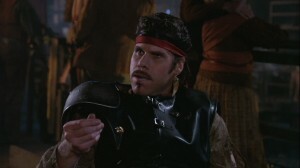 This also might be your only chance to witness Ron Perlman seem small when standing beside John Matuszak. That Monty Python remark wasn’t just there for the sake of sounding witty either – The Ice Pirates is seriously goofy and often features humor reminiscent of the British team. For instance, during the quirky climactic finale where Jason & Co. have to face-off the villains while crossing a dangerous time warp zone, they begin to rapidly grow older and in consequence feel too tired to fight an endless invasion of robots. Fortunately, the princess was pregnant and gives birth to a son in the meantime who in turn will grow older until becoming a young pirate to help the group. This is a sequence by the way that has stuck with me ever since I saw the movie as a small kid – it’s incredibly amusing and clever. 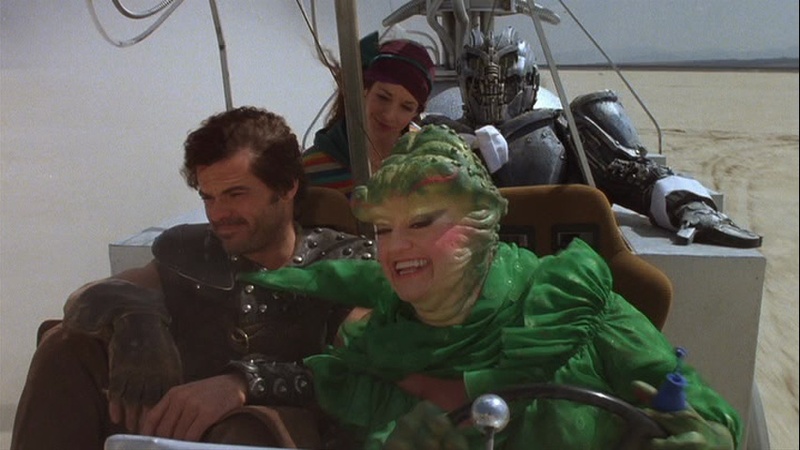 Fun and memorable from start to end, The Ice Pirates is an absolute must-see for lovers of sci-fi comedies! 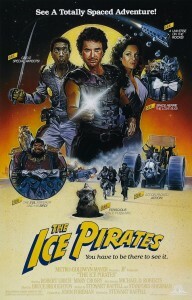 The Ice Pirates can be acquired from Warner Video.